Apples carrots vintage wallpaper border. 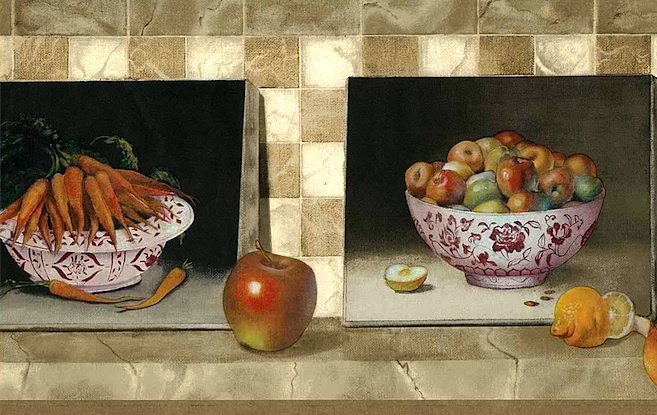 Canvas paintings of Red and White ceramic bowls feature Orange carrots and Red and Green apples. The canvas framed images are leaning against a Beige tile faux finish background. Lemon peels complete the look. Pure Americana country style. Usage: Ideal for a Kitchen.